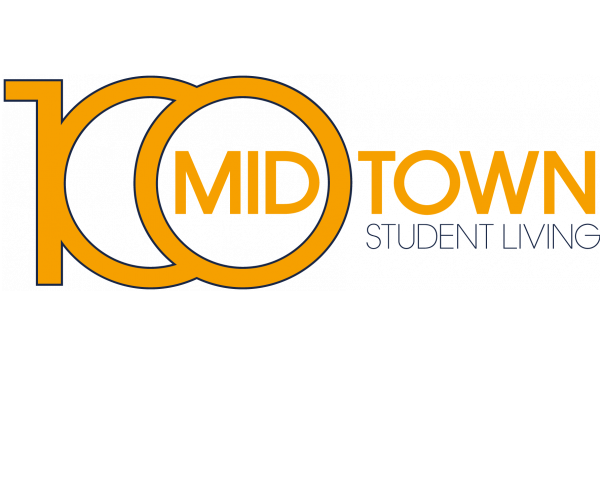 If you’re a student looking for apartments with utilities included in Atlanta, GA, your search ends at 100 Midtown. Not only is rent here all inclusive, but you also get a fully furnished apartment, complete with a washer and dryer! 100 Midtown is a must-see and one of the best deals in the heart of ATL. At 100 Midtown, you don’t just get apartments with utilities included in Atlanta, GA; you get access to the best community amenities near Georgia Tech, Georgia State, and SCAD. Take a study break in the library or catch up on schoolwork in the computer lab, which has Macs and PCs with engineering software and the Adobe Creative Suite. Catch up on your favorite shows in the TV lounge or unwind in the video gaming room. Work out in the newly renovated, 24-hour fitness center with a TRX station, machine weights, free weights, and full cardio equipment, or watch a movie in the theater room, which has an HD projector, DVD/Blu-ray player, and real theater seating. 100 Midtown is just a 5-minute walk from the Midtown Marta Station, making it easy to get anywhere in the city. Of course, with all the great Midtown dining, shopping, and nightlife, you might find yourself wanting to stay closer to home. 100 Midtown is also just a block from Publix, making it easy to cook delicious meals in your spacious kitchen. You have a choice of two and four bedroom apartments at 100 Midtown, and there are a number of floor plans available, practically guaranteeing that you’ll find the perfect home for your budget and lifestyle. In addition to a washer and dryer, each apartment comes with a leather furniture package, all the appliances you need (including a refrigerator, stove/oven, microwave, and dishwasher) and a 42" flat screen TV in the living room. Every apartment also has electronic door locks and additional storage for all of your belongings. But the best thing about living at 100 Midtown is all the money that saves. When you rent one of these apartments with utilities included in Atlanta, GA, there's no additional charge for water, electric, gas, Internet, or cable TV! A variety of amenities, move-in-ready apartments, and zero utility bills make 100 Midtown the best value for students who want great off-campus housing in Atlanta that doesn't break the bank. But don't take our word for it. Contact us now to schedule a tour or to speak to a member of the leasing staff. They're happy to show you around, discuss availability, and answer any questions you have.